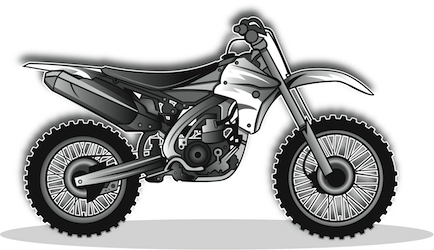 Your automobile insurance policy does not necessarily provide coverage for your dirt bike when you go off the road. With rugged tires and suspension and an extremely strong frame, your dirt bike is designed handle the obstacles that go along with hitting the trails. Your insurance policy should allow you to smooth out those bumps and offer you the peace of mind you need to enjoy your ride — and that’s where RV America comes in. We can build you a dirt bike insurance policy that includes all the coverage options you’ll need in order to deal with the contingencies and eventualities that you’re most concerned about. You want a policy that covers the rigors of off-road riding, and we can deliver that to you. Start finding out how by getting a cheap motorcycle insurance quote right online. Click here for your free insurance quote. For more information on our dirt bike insurance you can email us at info@rvainsurance.com or call us toll-free at 1-888-803-5999.